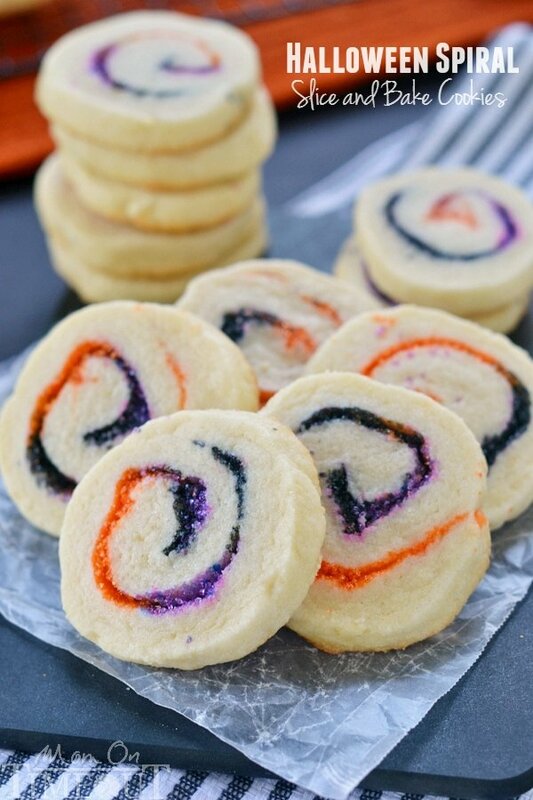 These Halloween Spiral Slice and Bake Cookies are the perfect, easy treat for your Halloween celebrations! 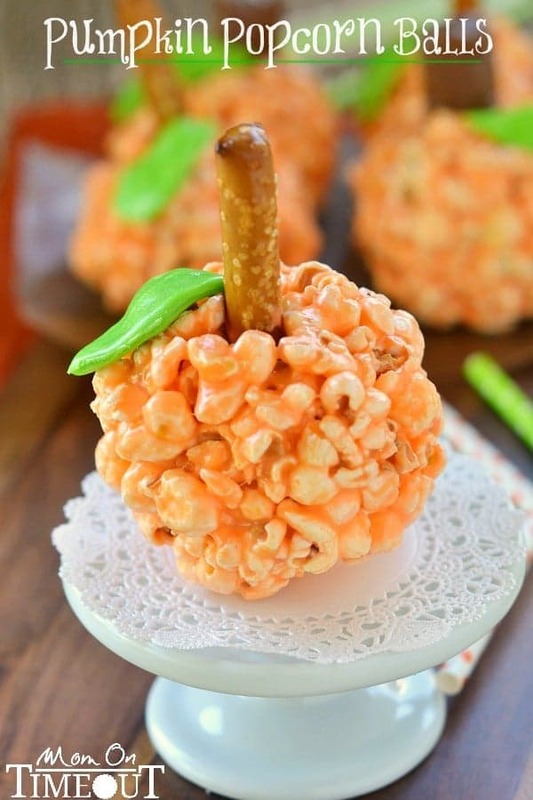 I’ve got one more Halloween recipe here for you today! 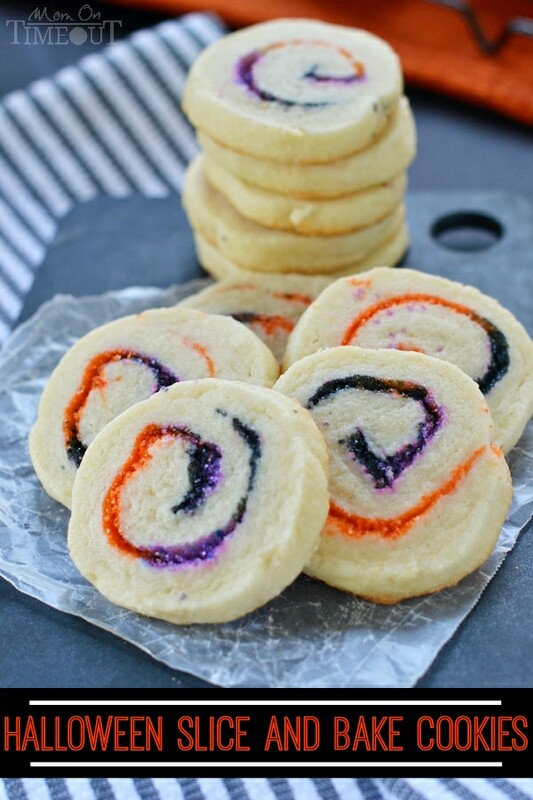 Spiral cookies are always a lot of fun and they are super easy to adapt to various holidays and celebrations. All you have to do is change the color of sugar you use! I’ve made rainbow pinwheel cookies and red, white and blue sparkler cookies for the 4th of July and both were huge hits. I went with orange, purple and black for Halloween and I have to say that I just adore how they turned out! If you can’t find the color of sugar you need, check out my DIY Colored Sugar tutorial for some help. Now there is really no rhyme or reason to my sugar placement but you an see I did kind of a patchwork quilt look here. 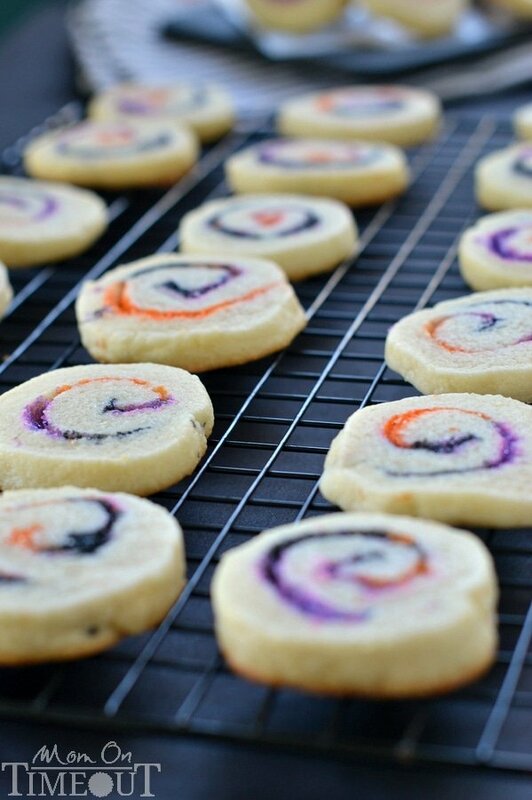 As long as you have large sections of color before rolling up the dough, the cookies will look fantastic. These cookies don’t use a lot of ingredients (6 ingredients total – including the colored sugar!) so it’s important to use the highest quality ingredients you can afford. I used Challenge butter for these cookies. I love the quality and taste – so creamy and delicious! After sprinkling the sugar in patches, roll up the dough like you would a cinnamon roll. 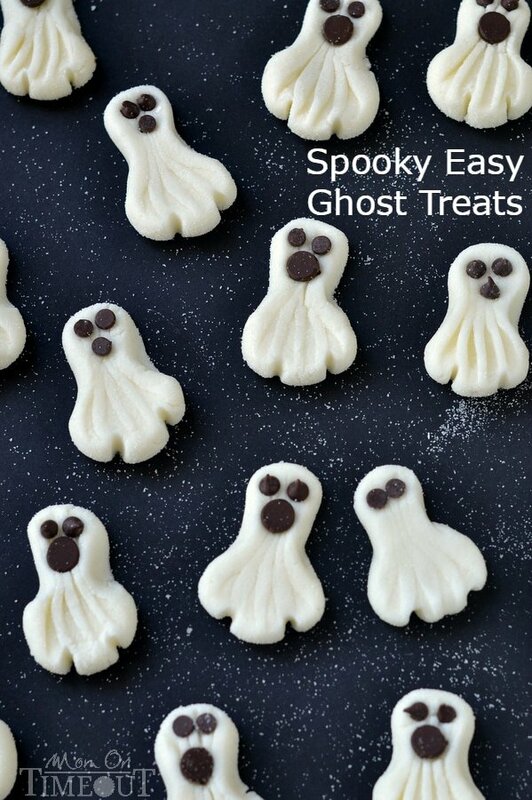 This recipe makes a lot of cookies (three dozen) which makes it perfect for classroom treats or parties. You’ll notice that the recipe calls for almond extract. It’s almost magical what it does for these cookies. Vanilla extract will work just as well but if you have almond extract on hand – give it a try. You won’t be disappointed! Add egg and extract and mix until well combined. Stir in flour, mixing until fully incorporated. Cover cutting board with plastic wrap and press out half of dough into an 8x8 square. 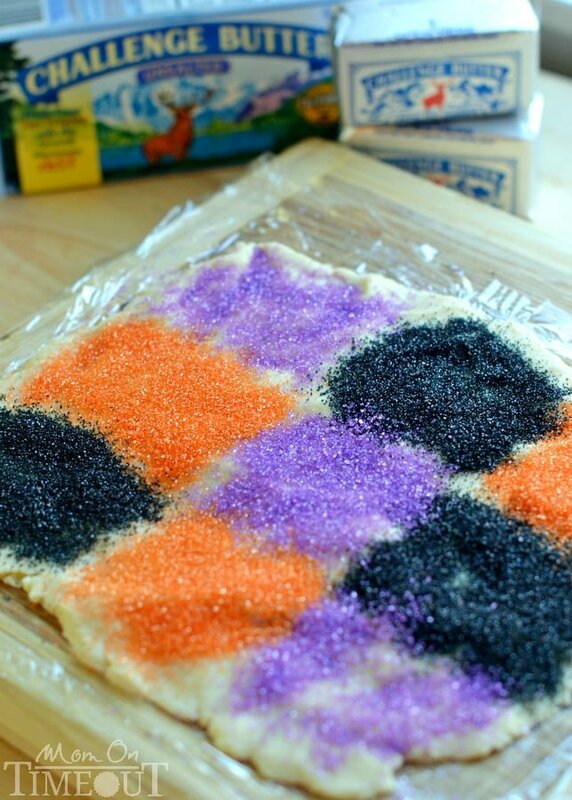 Sprinkle sugars onto the dough in patches. 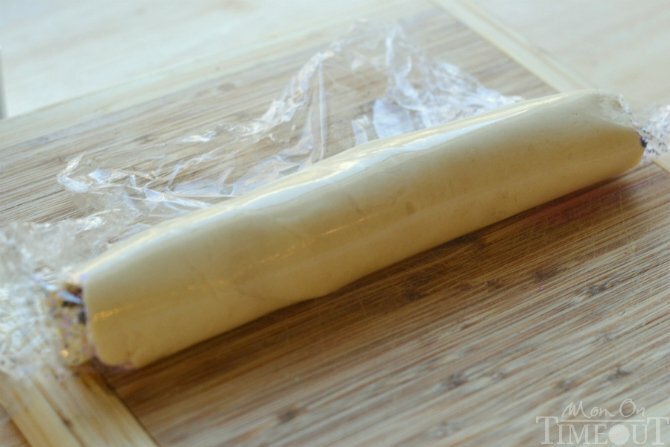 Use the plastic wrap to to lift and roll up dough - just like sushi. Repeat with second half and refrigerate dough rolls for 1-2 hours or until nice and firm. Remove plastic wrap from rolls and cut into ¼ inch slices. Place slices about 2 inches apart on cookie sheet. Bake for 6-8 minutes or until edges just turn golden. Let cool for 1-2 minutes and remove to wire rack. 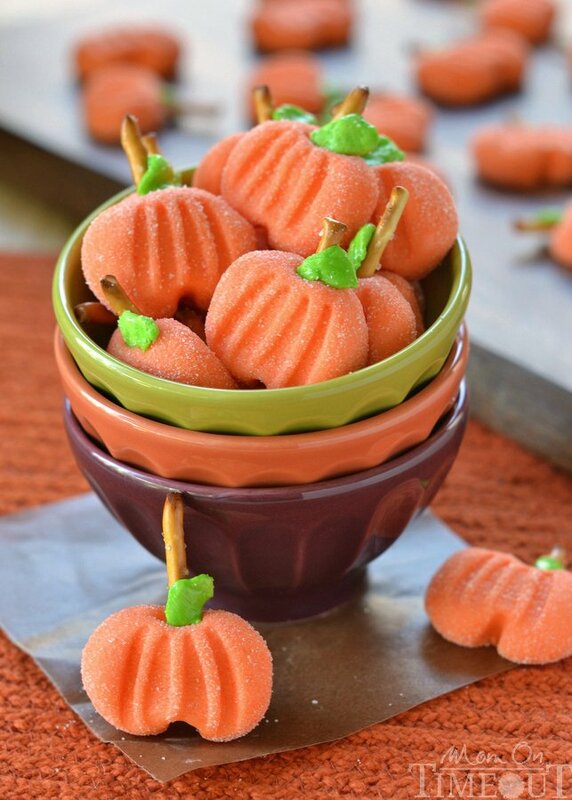 Just made these- delicious ?, and so cute! One suggestion, how about a quick role in more sugar or Halloween colored cookie decoration to make them even more festive. Thanks for the recipe. These look amazing. I don’t know how you do it, but you always make my tongue salivate for your yummy posts. Just made this tonight with my kids. They actually taste very good, they turned out perfect. My kids loved them! Love bake and slice cookies! These cookies are so festive! These turned out perfect, Trish! 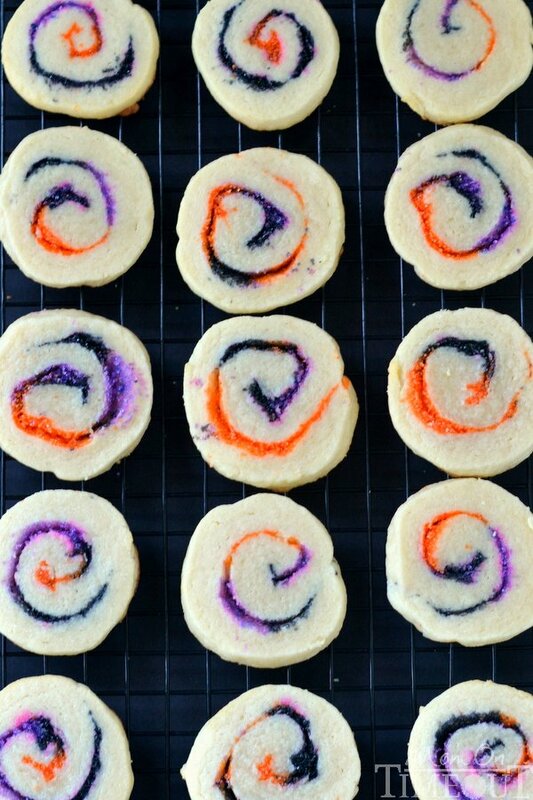 I have been wanting to make some spiral cookies. I love the colors in these cookies Nicole! Thank you! These are super adorable! Can’t wait to try them! Spiral cookies are my favorite!! Love the colors. So fun AND so easy! Thanks Dorothy!